Size: 84” x 84” x 36"
Weight: Dry - 896 lbs. | Filled - 5,066 lbs. 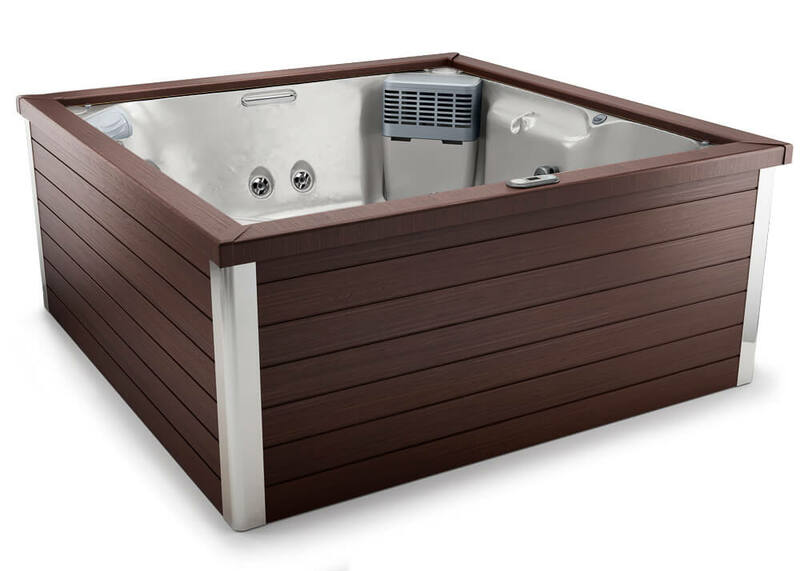 Featuring lounge seating, a contemporary design and a performance that exceeds energy efficiency standards, the J-LXL® Hot Tub offers room for up to six adults and blends seamlessly with deck designs. 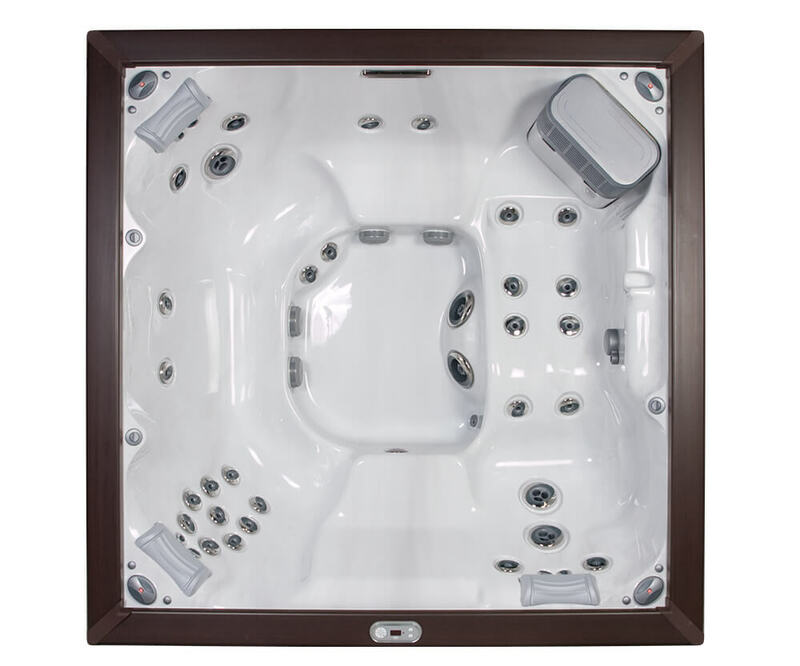 With filtered LED perimeter lighting, underwater light and a therapeutic, illuminated waterfall, the J-LXL® makes it easy to relax knowing you’re minimizing energy costs. Lounge seat featuring high-performance Jets (RX) for your shoulders, and targeted pressure point jets and deep tissue jets from your neck (NX2) to your feet (FX). Seats throughout also feature deep tissue jets for your neck, back and calves. Size 84” x 84” x 36"
Features a variety of PowerPro® Jets for your neck and back, utilizing rifling action to stimulate muscle groups.